City of Melbourne is considering options for a refreshed public transport plan. Proposals for an updated public transport strategy for Melbourne, which is leading the country in population growth, have come in for sharp criticism. A leading expert has warned that Melbourne’s public transport is under so much pressure from population growth that a major boost to the network being considered by State Government will still not meet demand. 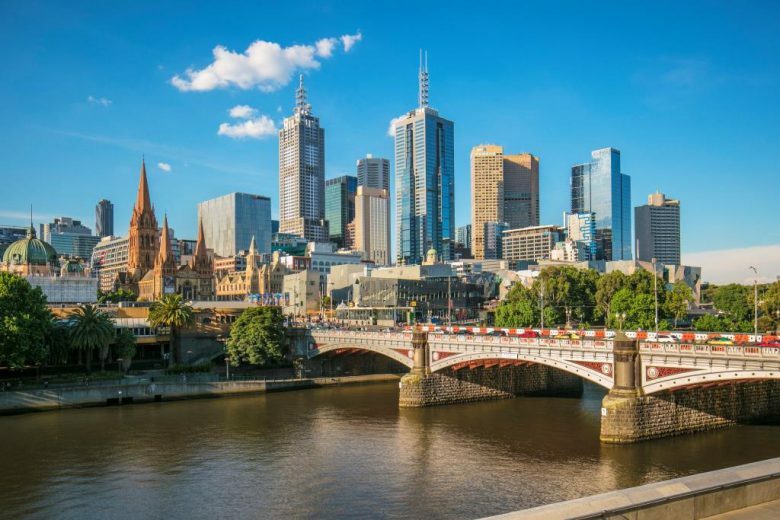 The City of Melbourne in April released a discussion paper canvassing the introduction of a Metro 2 and 3, among a raft of other major projects, as part of a 10-year future transport plan, as Government News reported. CBD rail patronage is expected to reach 200 per cent of current capacity by 2031, with the Metro 1 and 2 critical to meet forecast demand, according to the discussion paper. 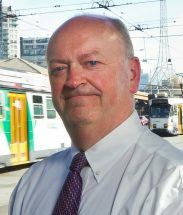 But Professor Graham Currie, director of the public transport research group at Monash University, told Government News that even with the proposals floated by government, Melbourne’s network would “not be accommodating for growth” given the rapid rise in population. Latest figures from the Australian Bureau of Statistics show Melbourne experienced its highest-ever net annual population increase in 2016-17, adding 125,000 new residents to bring its population to 4.9 million. Melbourne had the largest population growth of all capital cities, followed by Sydney (101,600) and Brisbane (48,000). Professor Currie pointed to research showing public transport service provision per capita has been declining rapidly in Melbourne since 2011-12 as the city fails to keep pace with population growth. 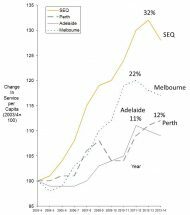 He presented similar research to the Victorian Parliament in 2016 illustrating that while “we seem to be improving” in service delivery since 2011 “we’re going backwards” per head due to the escalation in population growth. His findings show that car sales and ownership continue to rise, as do the costs and prevalence of urban traffic congestion, while two thirds of Melbourne is serviced by bus only, and tram services come under increasing strain. The Victorian Government needs to invest more in public transport to meet the exponential forecast in demand for public transport, he argues. While State Governments across Australia have committed to massive public transport infrastructure projects, Professor Currie said the current scope of some of these projects is not sufficient to meet forecast demand. He argues that building more roads is counterintuitive.